I stick to wearing my contacts most of the week and opt for glasses mainly for the weekends. Up till now, all I had were very plain all black glasses, but now I have something a bit more fun. How glam are these Red or Dead pair? Firstly, the glitter case and glittery edges are the best. They're so unique. The Cat Eye style adds to the fun even more. Most of my glasses are pretty straight, but I'm enjoying wearing these cat eyes. You can pick these up from Specsavers. I go to Specsavers for all my optical needs because of their range of glasses and their lovely customer service. Head on over to get your own glitter cat eyes too. 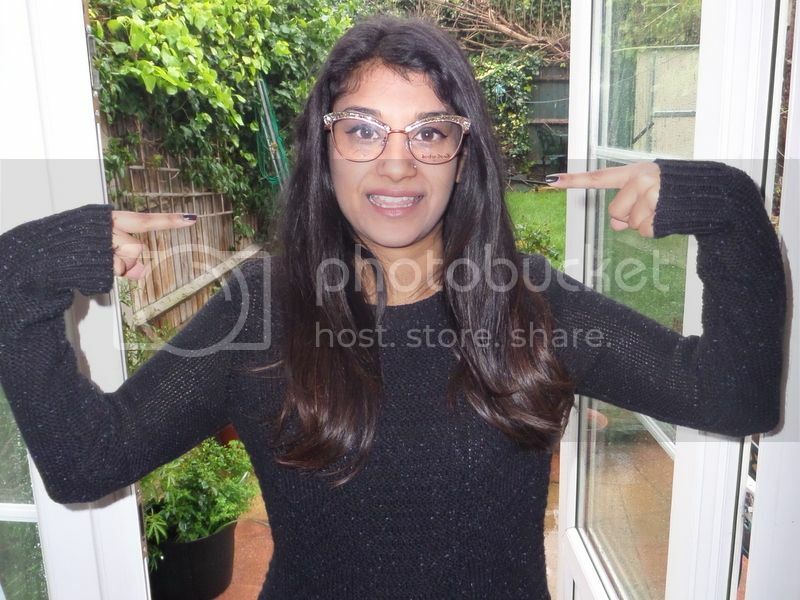 Ooh they look positively brilliant on you, Sherin - and I love the case! 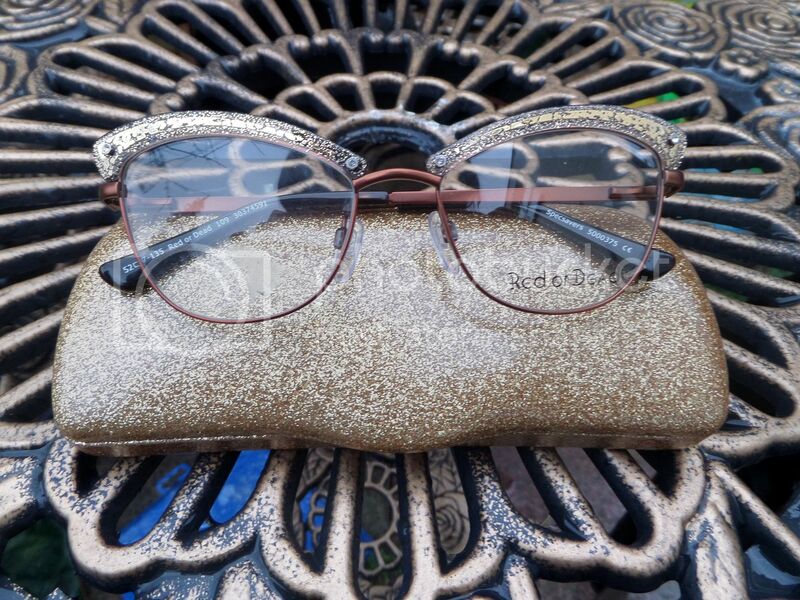 I love the glitter detail on these glasses - so fun! 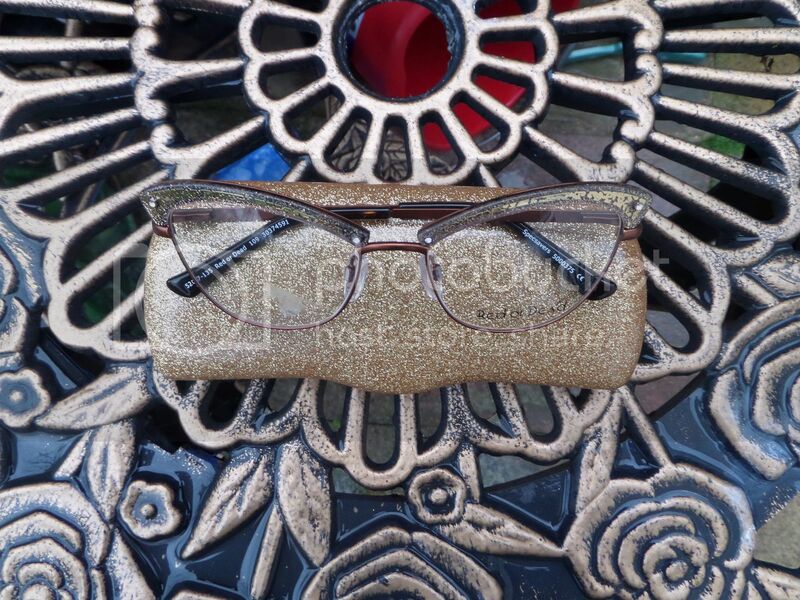 All of my glasses (which basically I have to wear all the time, sadly) are some version of black or brown but I recently spotted a gold glitter pair like yours and fell in love. Perhaps it's time for a new pair!